Before I knew it was called culture, I was fortunate to direct a coworking space called CO+HOOTS. There I called it “community building” and I was passionate about bringing people together. My role included onboarding new members, facilitating member meetings, and hosting many community events. We put together a manifesto or credo, developed “Cohootian” lingo, and a shared vision. I didn’t know it at the time but I was actively curating and co-creating our organizational culture. Fast-forward three years later, I discovered Delivering Happiness (DH). Born as a book written by Tony Hsieh, CEO of Zappos.com, DH is a culture consultancy that guides organizations in building sustainable happy cultures. DH does this through the lens of the science of happiness and positive psychology and has worked with 300+ companies to date. But the big question you may have is, what is organizational culture? and what's the link between culture and happiness? Culture is a hot topic. It was even Merriam-Webster’s word of the year in 2014. Organizational culture is defined as a system of shared assumptions, values, and beliefs, that contribute to the unique social and psychological environment of an organization. In other words it's "how we do things around here". At DH, we believe culture is a sum of all the interactions at your organization and it's not just about "what you do" (the task itself) but "how you do it" (the way in which you apply the company values to that task) that matters. In my four years working at DH, I feel like I got my Masters in Culture. I went from not knowing what “organizational culture” was to heading up the culture team and while my degree isn’t accredited by any ivy-league University, my experience is lived. The following is my three-part journey in how I turned culture into a career. I always wanted to be on the Culture Team. From the moment I started, I could see how the Culture Team set the tone for the organization as a collective. Even in a remote team, they kept us feeling connected to one another and to the higher purpose of the org. They oversaw our learning and development and kept us accountable to living our core values. While it wasn’t a full-time role, I saw how each team member was strategically placed and that they were the magical glue that held everything together in a meaningful and fun way. All Hands Meetings (AHM) - Quarterly or Biannual in-person or remote gatherings/strategic planning meetings to discuss the State of the Company and connect in a meaningful way. At first I was CULTURE CURIOUS, simply eager to learn more and excited my company put such a high emphasis on culture. Next, I became a CULTURE CHAMPION, someone who really takes initiative and lives the culture as defined by the Values & Behaviors set by the org. Again, it’s not just what you do, it’s the way you do it that matters most. After three years of raising my hand and helping out, I was invited to become Culture Lead where I got to oversee and facilitate culture development. This was exciting for me because there were many ideas I had for how we might strengthen our culture incl. building a solid Communication & Accountability pact, increasing the effectiveness of our All Hands Calls, and creating more empathy and understanding for each persons roles & goals. After four years of this work, what I've discovered is that "People and Culture" is an entire field and that there is a whole world of learning to be had. Additionally, as we shift into a new paradigm of greater consciousness and awareness as a species, my sense is developing our emotional intelligence and rebuilding organizations with humanity at the center is more important than ever. 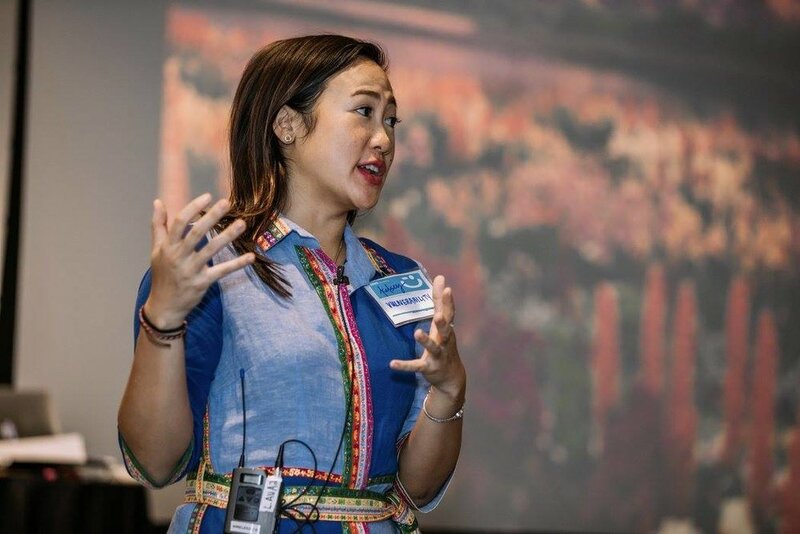 Today, my role has evolved even further into Culture Coachsultant where I serve as a facilitator and guide providing coaching and consulting to clients around the world ranging from healthcare organizations in the U.S. to education centers in Vietnam. Co-facilitating a lunch & learn on Culture for Startups at Galvanize in San Francisco in 2016. What we say at DH is culture is a journey and it certainly has been for me. What I love most about this work is it continues to unfold and reveal itself in new ways. Every organization has a unique culture DNA and I love helping them to bring that to life. If you’re interested in this field or are curious how you might create culture change at your org, here is a healthy stack of resources for you to get started. If you have others to share, please comment or send over. All Hands Call Slide Template – a compilation of best practices to facilitate culture building. All Hands Call How-To-Guide – a compilation of best practices to facilitate culture building for remote teams. 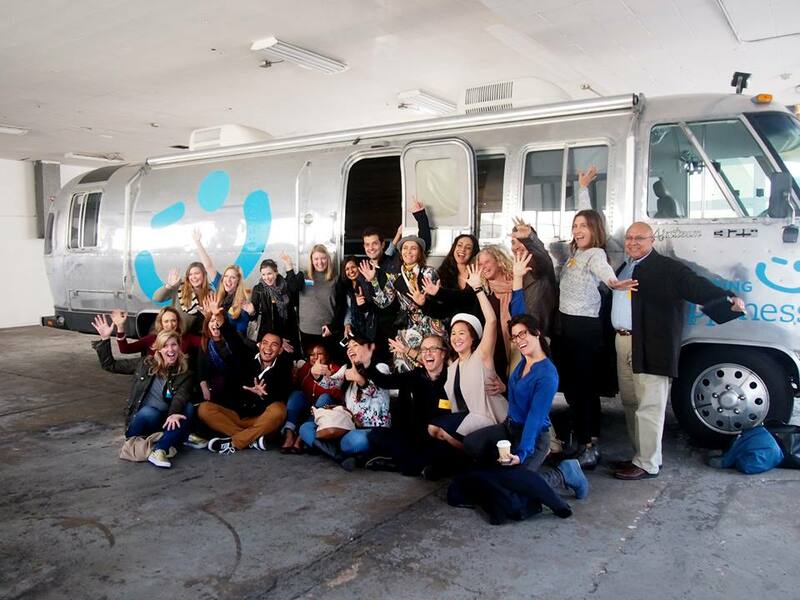 Co-leading Culture Builder Bootcamp with our airstream at Airbnb HQ in San Francisco in 2016. Culture is a journey, here's to yours! Older PostWHERE ONCE THERE WAS GREY THERE IS COLOR.